Sheer, luxurious scarves are based on art by the great Dutch Master. 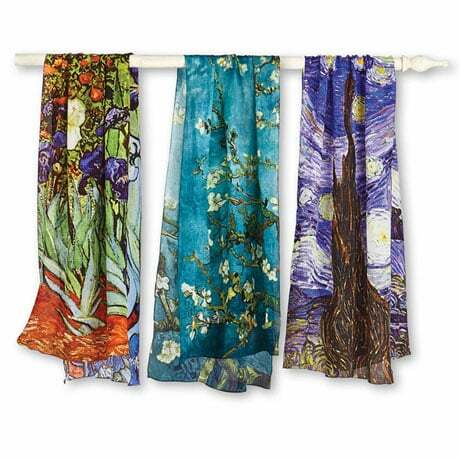 Each is printed with a famous detail from one of Van Gogh's bestknown works. Specify "Irises", "Almond Blossom", or "Starry Night". Silky viscose crepe, 20"x 70". Hand wash. Imported.